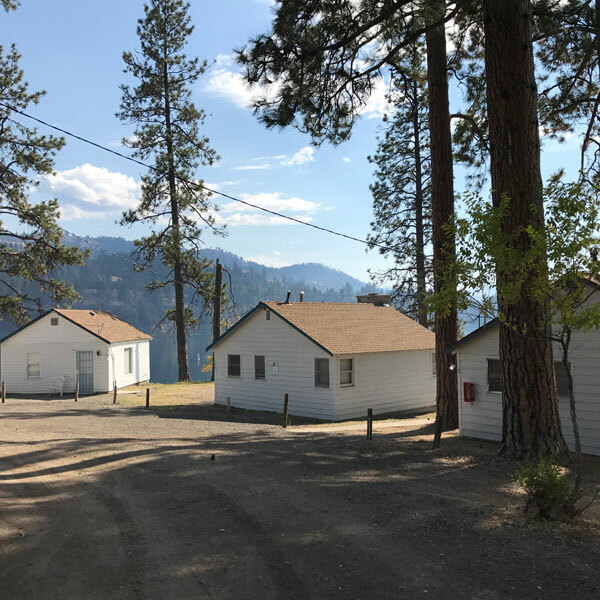 All cabins include heat, kitchen microwave oven, stove & refrigerator, cooking & dining utensils, coffee pot, toaster, bedding, bathroom with shower, screen door and outdoor patio with picnic table. Please bring your own bath towels. 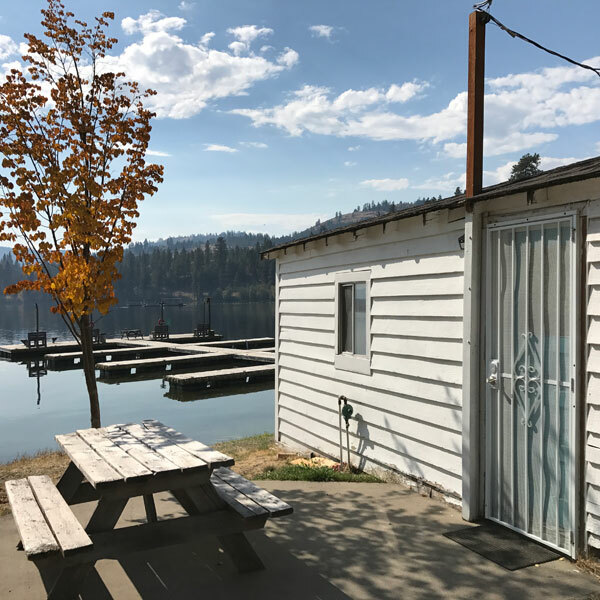 Designed for two, this quaint cabin features one queen bed and is near the lighted main fishing dock. 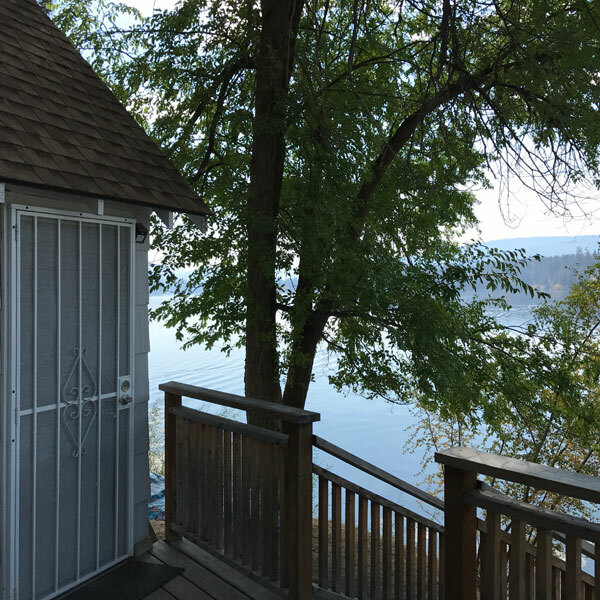 A cozy cabin with one queen and one twin bed, sleep up to three comfortably while enjoying the amazing lakefront view. 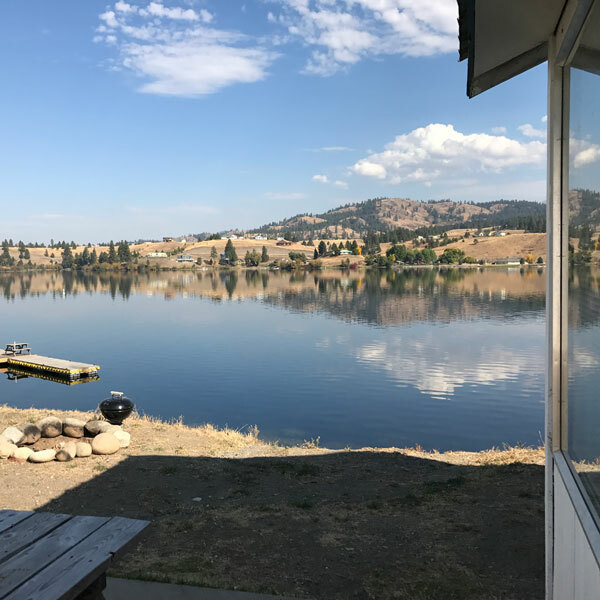 Perfect for a family of four, our one bedroom deluxe cabins located on the resort point feature two queen beds and stunning, expansive view of the lake. Breathtaking! 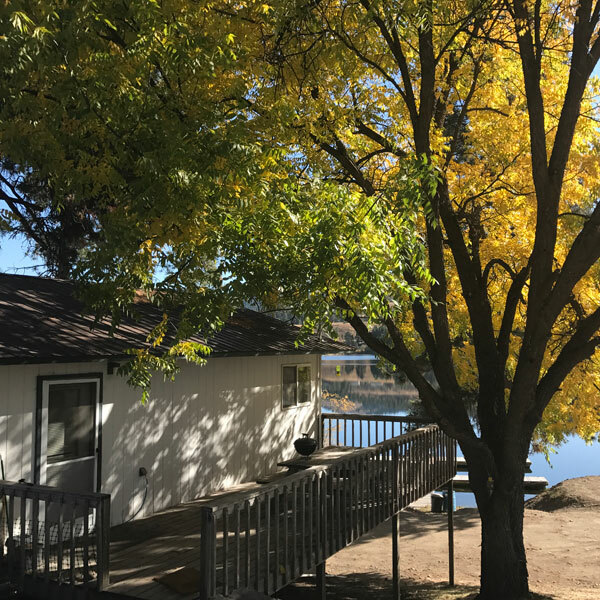 Choose whether to enjoy a wood fire indoors or out while staying in one of our cozy two bedroom cabins. Furnished with two queen beds and a hide-a-bed in the living area, sleep up to 5 people comfortably. This large, cozy cabin is designed to sleep six people. One queen bed in each bedroom with an additonal queen bed in the living room. Enjoy dinner by the fire inside or out! 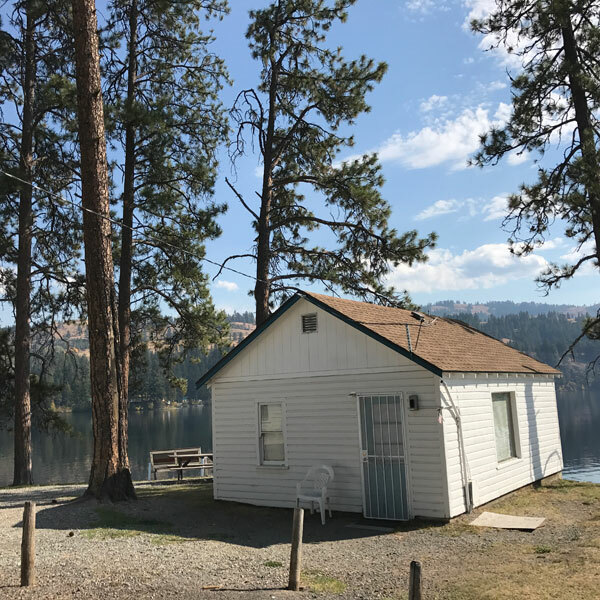 Carpeted throughout, this two bedroom cabin is furnished with two queen beds and a hide-a-bed in the living room. So kick off your shoes and stay cozy in this pet free cabin! A home away from home, this cabin features top floor living with bottom floor sleeping. Rest in one of three bedrooms, furnished with four queen beds. Enjoy gathering in the large living area of this two story spacious cabin. 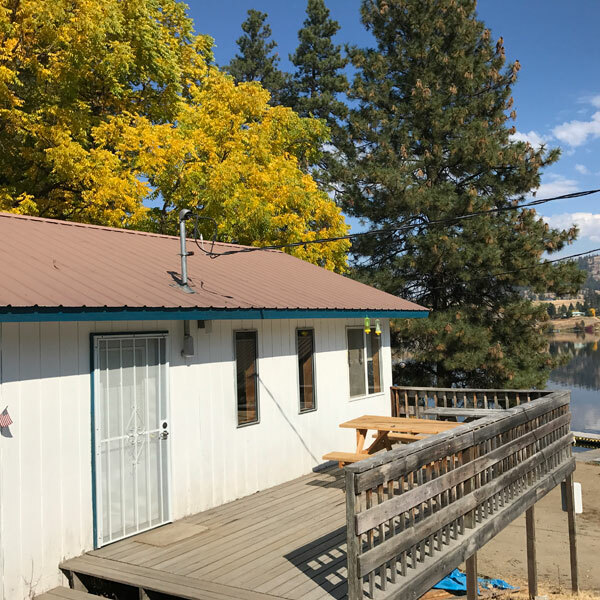 Perfect for large families, this cabin offers one bedroom upstairs, two bedrooms down. Four queen beds in all! 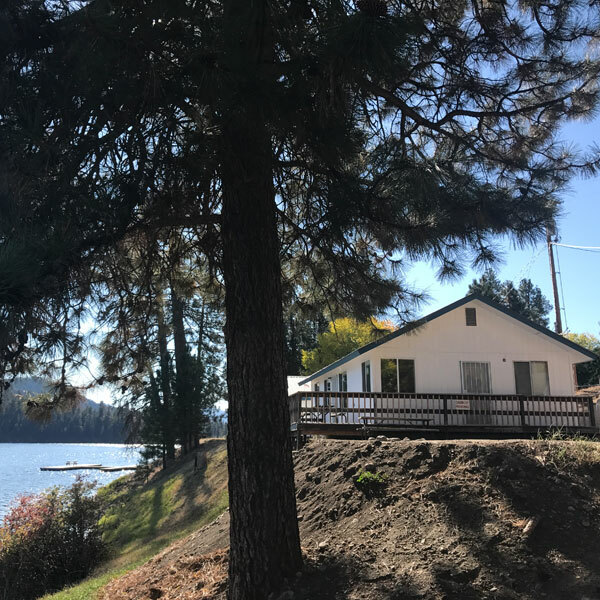 The huge wraparound deck along with four bedrooms furnished with a queen bed in each makes this our most sought after cabin. 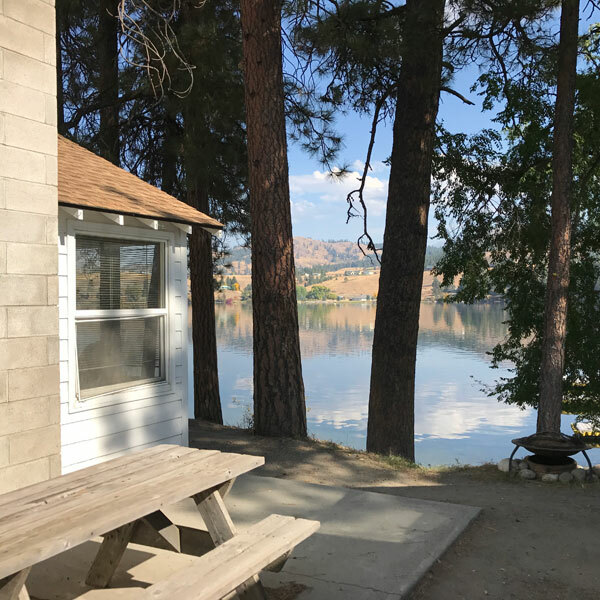 With the open kitchen and large living space, this cabin is perfect for any group.